In the middle of March 2019, Carolyn Parry, our Lead Coach, delivered a well received webinar in association with US based developer of career practitioners, Peak Careers. The well received session was aimed at helping career and early development practitioners to develop confidence within clients of any age quickly and easily. Informed by neuroscience, positive psychology and experience, delegates learnt how to help set their clients up for success by consciously managing their nerves and thinking and a number of linguistic techniques designed to build rapport quickly and easily. 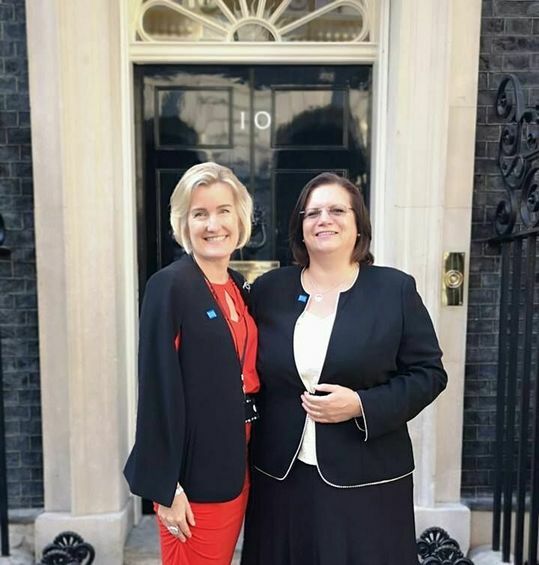 As a result of successfully securing grant funding from the Cabinet Office's Inclusive Economy Partnership, run by NESTA the social innovation foundation, Director of Career Alchemy incorporating Careers Advice for Parents, Carolyn Parry, attended a reception in July 2018 at Number 10 Downing Street. Speaking about the event, Carolyn said: "The world of work is changing fast and we want to play our part in helping parents to enable the next generation to prepare for a very different world from the one we grew up in. I never envisaged that our work would lead to standing in front of one of the world's most famous doorsteps and am very grateful to Shevaun Haviland and her team at the Cabinet Office and NESTA for the significant opportunity they have given us." 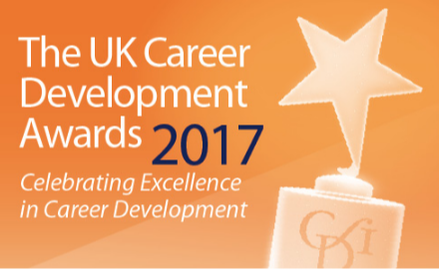 Originally shortlist in 2013 and nominated for a second time by another grateful client, Career Alchemy Lead Coach, Carolyn Parry, has won the Career Development Institute's prestigious UK Career Coach of the Year 2017 award. The CDI maintains professional standards in UK career development and runs the Professional Register. Speaking about her award, Carolyn said: "I was absolutely delighted to be chosen to receive the UK Career Coach of the Year 2017 award during National Careers Week 2017. "The sponsorship of the award by the Army is particularly meaningful due to family connections, and to bring the award back to Wales on International Women’s Day is a very special feeling. Nominated by a grateful client, founder Director and Lead Coach, Carolyn Parry has reached the shortlist for the Career Development Institute's prestigious Career Coach of the Year 2017 award. The CDI maintains professional standards in career development work in the UK and runs the Professional Register. ​Speaking about her nomination, Carolyn said: "With the advance of the gig economy and technology developments, combined with a world economy in flux, career coaching is all the more important in helping people to create happy and successful working lives which are meaningful and sustainable. I am delighted that the quality of my work has been recognised by this shortlisting." The winner will be announced on 8 March in Leeds. As part of her role as one of the trustees of NASES, the National Association of Student Employment Services, Career Alchemy founder, Carolyn Parry is providing a free CPD webinar for NASES members. NASES is the professional association for university and further education college job shops across the UK. Every year it runs a National Student Employment Week across the UK to help highlight and bring additional value to its service member. Taking place on Wednesday, 22nd February at 11 am, the webinar, a first for NASES, focusses on helping job shop participants to discover some really quick, unique, and proven techniques which you can teach to your students in a couple of minutes each so they can nail their next interview, whatever the context. If you would like to have similar webinar based training for your organisation, just click on the box below. With the world of work changing, jobs becoming more insecure and zero hours working on the up, being captain of your own destiny by running your own business can provide you with the security and freedom you seek. 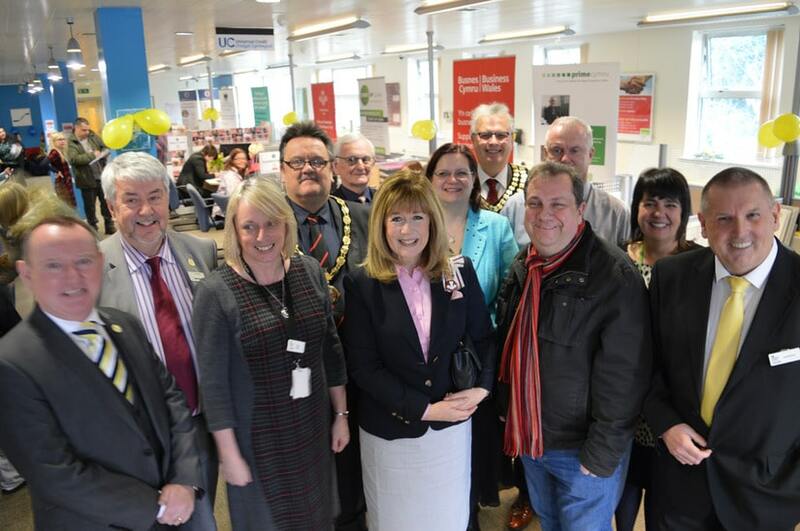 So, Career Alchemy was delighted to be able to support Ammanford Job Centre Plus's Be Your Own Boss event on 17 February 2017. As well as being able to talk with experts and advisers from organisations including Business Wales, the Princes Trust and PRIME Cymru, Career Alchemy Founder, Carolyn Parry delivered two free workshops to a packed room. "Moving Forward With Confidence",helped participants to understand how to develop a positive mindset and included several techniques to get into a confident state. If you would like Carolyn to run a similar event for your organisation, please click on the box below. We are also delighted to announce that we were also finalists in another prestigious award - the Wales StartUp Awards 2016. Co-founded by Professor Dylan Jones-Evans, creator of the Wales Fast Growth 50, the Wales StartUp Awards has been set up to celebrate ambitious and indigenous start-up businesses that are making a real impact to the Welsh economy. 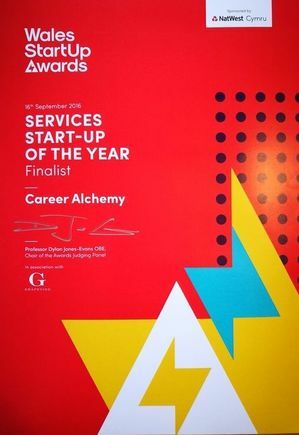 Talking about being on the shortlist, Carolyn Parry, Founder of Career Alchemy said: "I am delighted that we shortlisted in the Services category. The standard is very high and for Career Alchemy to been a finalist in our first year even is a huge achievement." PRIME Cymru is the Prince of Wales Charity to help over 50s start up businesses and get into employment. For media enquiries, please contact Carolyn direct on 07899 075853. Founder Director, Carolyn Parry, recently delivered a very well received series of talks in April and May to South Wales Chamber members on how to fire up business ambition and skills development for success. If you would like Carolyn to fire up your business or event please enquire via the button below. Career Alchemy is proud to announce that it is sponsoring this year's Above and Beyond Awards at the National Association of Student Employment Services. "Career Alchemy is all about helping people to recognise and develop their potential purposefully so they can be happy and successful in their career. We are delighted to be sponsoring the Above and Beyond awards at this year's conference to recognise the emerging stars of tomorrow."